See Girl Run Movie Review - Are You Screening? Nate Meyer’s See Girl Run is the kind of film that fills viewers with a certain joy at the existence of indie movies, and moreover, films directed by people you don’t know generally. Ironically, something of an essay on the extent to which movies don’t know what they’re talking about, and the public’s inability to realize same, See Girl Run maneuvers us through the tricks and traps of love, and does so without ever actually saying anything about love at all (except in one scene, I suppose). 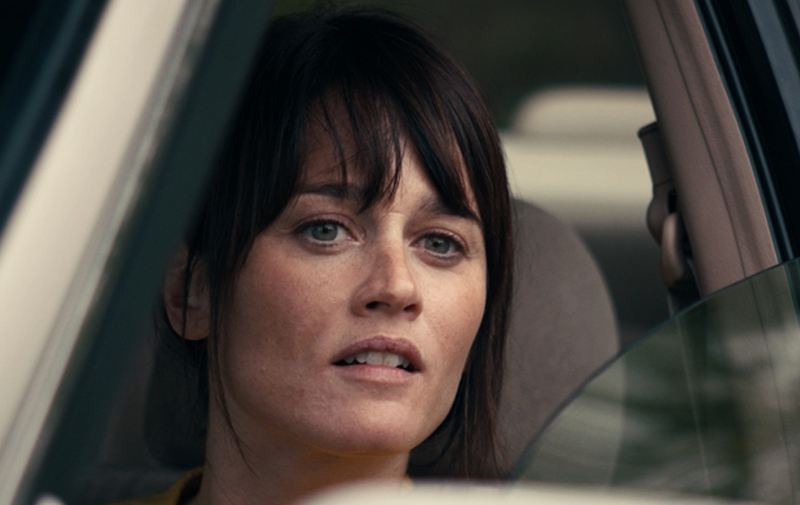 Robin Tunney stars as Emmie. She’s married to Graham (Josh Hamilton), and has been for about five years. The shine of the relationship has worn off a bit, not least showcased by Graham’s curious lack of spontaneity (let’s say) in the bedroom. Conveniently, Emmie is in the final stages of trying out for a reality series that reunites people with their High School sweethearts. She learns that they’re going to have to disqualify her (or whatever), because she hadn’t revealed that she’s been in contact with her old flame, Jason. He’s sent her cards and drawings once in a while, but she didn’t think that counted, and besides, she’s never responded. Caught in her relationship lull, Emmie begins to wonder about life and love, coming close to that misty-eyed sense of ennui that movies so often use to get Emmie to return to Damariscotta, Maine to see what Jason might be doing with his life. Don’t worry, I live pretty near the place, and I’m taking the movie’s word for how you pronounce it. Jason, perfectly managed by Adam Scott, isn’t doing much with his life, but in keeping with our examination of movie worlds, he’s mostly a hell of a guy. He’s working at a lobster shack while he waits for his art career to pan out (he paints odd frogs who fish and wear pants, and look like they should be made of plasticine and on a shelf at the back of a Hallmark store, beckoning at old ladies), and isn’t particularly interested in any relationship, because he’s holding fast to the memory of Emmie. He’s fun, charming, and has just the right looks, but he isn’t exactly self-sufficient. As we follow Emmie back to her childhood home, we meet her parents, who don’t seem particularly happy, and her brother, Brandon (Jeremy Strong), who is clinically depressed and a special breed of alcoholic. Brandon, whose mind runs roughshod over him nearly all the time, becomes our questioning guide, and is the point of contact for Emmie, as he still sees Jason occasionally. Both of them make note of the fact that they never technically broke up, and it’s a genius bit of screenwriting that they do. A certain intangible tangible to reference as a kind of idol to the thinking we were all supposed to grow out of. The very thinking that makes the young and foolish suspect that marriage is just going on your first date every day of your life. As another master stroke in this little gem, the whole affair plays out with Emmie and Jason spending virtually no time together at all. The entire ebb and flow of emotion, rationalization, wonder, and realism all happen in Emmie’s mind, whether they were together a lot or not, so why bother? You hate to spoil an ending, but the film comes together in the only way it possibly could (without turning into the worst movie ever), so I don’t consider it ruins anything to point out that the problem with Jason, wonderfully, is not that he isn’t the man that Emmie remembers, but that he is. It is not that life wouldn’t be that strange, candy floss web of nearly never-ending grandiose gestures, but that it would. When Emmie (Robin Tunney) starts to think that her current relationship isn’t enough, she can’t stop wondering about her high school sweetheart, Jason (Adam Scott), who stills live in their coastal hometown of Maine. On a whim, she throws caution to the wind and goes home to discover if he could be what she needs to reignite her life.